Here is a glimpse into the journey and the mind of Jen Feazelle, owner of Seven Doors Winery. 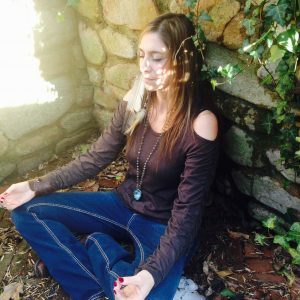 Jen is a seeker, a mystic, leader at a Fortune 100 company and entrepreneur. She has traveled the world to find answers to many of the big questions in life, and mostly ends up with more questions – but also gains new insights and a deeper understanding of herself. In 2016, Jen was interviewed by London Real Academy, a global mastermind club and online community that connects people to cutting edge ideas. 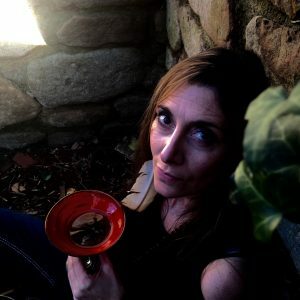 In this interview, Jen opens up about her quest to be a better human, her biggest fears and her intentions for Seven Doors Winery. Jen is always open to talking about her experiences and is creating a space where people feel comfortable to share their dreams and talk about big ideas. Reach out to her if you want to visit or learn more about her upcoming podcast and book. London Real got it so right 4 years ago when it said it wants to take us on a journey through the lives of others, so that we can be inspired to embark on one of our own. All of us in the community are constantly learning that the potential for reinvention and industry disruption is all around us. So in this amazing London Real Community, I get the grand job of interviewing an Academy member each week to show some of the things happening in your journeys. As a feature in my blog this week, I interviewed Academy member Jen Feazelle on why she is ready to turn assumptions and conventions upside down and rebuild her newly purchased winery in ways that create new value. I can honestly say, I am so excited to share this unique story with you because Jen has truly achieved an art for smashing together ideas. 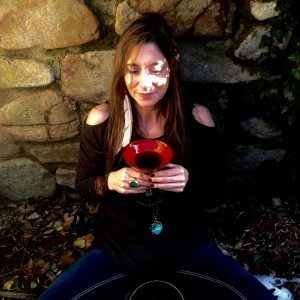 She is pushing the boundaries of conventional knowledge in ways that put together things that you would never think of as going together, such as biodynamics, sustainability, positive vibration, sacred ritual – all into winery! I hope that this interview will provide you with a powerful insight into a mindset and thought process that can inspire you with your own idea creation. For me, the key is adding your own unique perspective of life onto anything you choose to do. What’s yours? Why did you start a winery? “Oh, you and your husband bought a winery?” A: Um, no I’m not married…. “Oh, so you and a partner bought a winery?” A: Um, no there is no partner… just me. I decided that if I couldn’t do it on my own, I wasn’t going to do it. Is the grape ripe for disruption? What is the Wine Club for the Soul? Below is Jen’s winemaking room and equipment at Seven Doors Winery, which is the name of her winery. It is based on the seven chakras. The winery is a place that Jen will be holding yoga classes and meditation. The point is, it is as much a mind, body and spirit retreat place as it is a winery.What terrifies and excites you? Hurting people – (I would rather be hurt than hurt others…. I have recently experienced a time where I feel I (unintentionally, of course) created pain for other people. This stopped me in my tracks and I retreated like a caged animal…I went through fight, flight AND freeze in this process and it created a deep hole for me to climb out of… that I am just now regaining a sense of resolve about. I gained a lot of insight about myself and my thoughts, my shadows and my ego. How do you find balance beyond the 9 to 5? What feature should we look for in the community? Jen’s current challenges are moving through fear to launch her big ideas and building a team to scale her business.